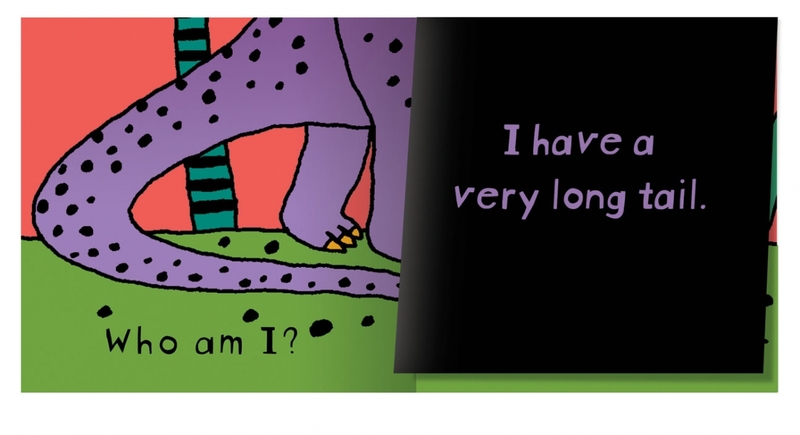 The question “Who am I?” and a linked written clue invites kids to lift the first portion of the folded page to reveal another clue and more of the animal, and then a final fold-out shows the whole dino. 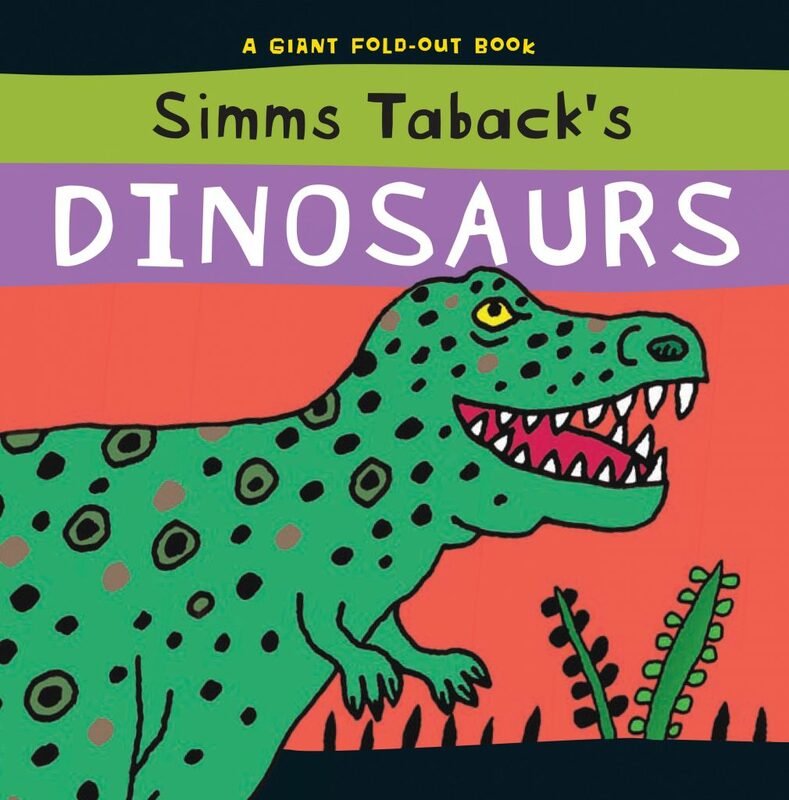 The featured dinosaurs are: quetzalcoatlus, diplodocus, stegosaurus, Tyrannosaurus Rex, ankylosaurus, triceratops. NextWhere Does Kitty Go in the Rain?